SAMUEL GOLDSTEEN was born 11 June 1837 in Meppel, Drenthe, Holland, and died 12 April 1917 in Meppel, Drenthe, Holland. He married JANSJE COHEN 08 December 1866 in Meppel, Drenthe, Holland, daughter of IZAK COHEN and SARA POLAK. She was born 27 August 1840 in Meppel, Drenthe, Holland, and died 06 January 1912 in Meppel, Drenthe, Holland. How are you related to Samuel Goldsteen? 1. MOZES GOLDSTEEN, b. 27 November 1867, Meppel, Drenthe, Holland; d. 24 September 1941, Meppel, Drenthe, Holland. 2. SAARTJE GOLDSTEEN, b. 10 May 1870, Meppel, Drenthe, Holland; d. 13 June 1940, Meppel, Drenthe, Holland. 3. BETJE GOLDSTEEN, b. 12 October 1872, Meppel, Drenthe, Holland; d. 26 October 1942, Auschwitz concentration camp, Poland - Holocaust victim. Betje Goldsteen never married and lived together with her unmarried cousin, Samuel (Sampie) Goldsteen. 4. IZAAK GOLDSTEEN, b. 04 August 1874, Meppel, Drenthe, Holland; d. 26 October 1942, Auschwitz concentration camp, Poland - Holocaust victim. 5. LOUIS GOLDSTEEN, b. 18 March 1876, Meppel, Drenthe, Holland; d. 21 September 1942, Auschwitz concentration camp, Poland - Holocaust victim. 6. BILHA GOLDSTEEN, b. 25 October 1878, Meppel, Drenthe, Holland; d. 01 October 1942, Auschwitz concentration camp, Poland - Holocaust victim. 7. EDUARD GOLDSTEEN, b. 15 July 1882, Meppel, Drenthe, Holland; d. 21 September 1942, Auschwitz concentration camp, Poland - Holocaust victim. BILHA GOLDSTEEN was born 29 February 1840 in Meppel, Drenthe, Holland, and died 27 August 1927 in Gouda, Holland. She married ENOCH ITALLIE 30 May 1863 in Meppel, Drenthe, Holland, son of ISAAC ITALLIE and DINA FEITSMA. He was born 02 September 1836 in Meppel, Drenthe, Holland, and died 13 December 1866 in Enschede, Overijssel, Holland. 1. BETJE ITALLIE, b. 13 April 1865, Meppel, Drenthe, Holland. 2. EDINA ITALLIE, b. 07 August 1867, Meppel, Drenthe, Holland; d. 11 April 1912, Hilversum, Holland. 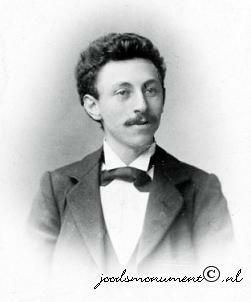 ISRAEL GOLDSTEEN was born 05 September 1842 in Meppel, Drenthe, Holland. He married NAATJE ZEEHANDELAAR, daughter of SAMUEL ZEEHANDELAAR and ADRIANA DE GROOT. She was born 06 October 1843 in Uithoorn, Holland, and died 01 November 1911 in Meppel, Drenthe, Holland. 1. MOZES (MOOS) GOLDSTEEN, b. 13 January 1877, Meppel, Drenthe, Holland; d. 08 October 1942, Auschwitz concentration camp, Poland - Holocaust victim. Resided: Noteboomstraat 1, Meppel. Holland. Moses Goldstein (known as Moos) was unmarried and had no children. Moos Goldsteen was a painter by profession, as well as a politician and town council member for the SDAP. He left the council in 1932, but returned in 1935 as an independent candidate. In 1939 a second council member joined his political grouping, but in late 1940 he was removed from the council. In August 1942, he was summoned to Orvelte labour camp. Neighbours offered him a hiding place, but he refused because he believed the war was almost over. In early October, he was sent from Orvelte to Westerbork and later to Auschwitz where he perished. 2. SAMUEL (SAMPLE) GOLDSTEEN, b. 05 December 1877, Meppel, Drenthe, Holland; d. 26 October 1942, Auschwitz concentration camp, Poland - Holocaust victim. Resided with his cousin, Betje Goldsteen, July 1942: Tweede Hoofdstraat 32 a, Meppel, Holland. Samuel (known as Sampie) Goldsteen was unmarried and lived together with his unmarried cousin Betje Goldsteen, the daughter of Samuel Goldsteen and Jansje Cohen. Sampie Goldsteen had difficulty walking because he had suffered from polio as a boy. He ran a newsstand at Kerkplein in Meppel. In January 1942 this newsstand was closed down by the occupying forces. When Meppel’s Jewish townspeople, including his cousin Betje, were taken from their homes on 3 October 1942, Sampie Goldsteen was not at home. The local police wanted to spare him because he would not be able to walk to the station, but when the last members of Meppel’s Jewish community were taken away to Westerbork transit camp by bus on 6 October, Sampie Goldsteen was among them. 3. ABRAHAM GOLDSTEEN, b. 04 September 1879, Meppel, Drenthe, Holland. 4. JACOB GOLDSTEEN, b. 18 July 1881, Meppel, Drenthe, Holland; d. 05 May 1886, Meppel, Drenthe, Holland. 5. EDUARD GOLDSTEEN, b. 06 February 1884, Meppel, Drenthe, Holland. 6. BETSIE GOLDSTEEN, b. 07 July 1888, Meppel, Drenthe, Holland; d. 03 September 1943, Auschwitz concentration camp, Poland - Holocaust victim. ELEAZAR VAN GEENS was born 29 November 1839 in Meppel, Drenthe, Holland. He married BETTJE DE GROOT 09 March 1870 in Amersfoort, Utrecht, Holland . 1. BERTHA VAN GEENS, b. 02 December 1870, Amersfoort, Utrecht, Holland; d. 28 January 1913, Amsterdam, Holland. 2. HENRIETTE VAN GEENS, b. 06 December 1871, Amersfoort, Utrecht, Holland. 3. HELENA VAN GEENS, b. 21 August 1874, Amersfoort, Utrecht, Holland; d. 23 April 1942, Sobibor death camp, Poland - Holocaust victim. 4. BELA VAN GEENS, b. 10 November 1876, Amersfoort, Utrecht, Holland; d. 25 July 1938, Amsterdam, Holland. 5. FLORA VAN GEENS was born 10 June 1879 in Amsterdam, Holland. She married MEIJER BATAVIER 23 October 1907 in Amsterdam, Holland, son of MOZES BATAVIER and REBEKKA WIJNMAN. He was born 31 July 1881 in Amsterdam, Holland, and died 14 September 1942 in Auschwitz concentration camp, Poland - Holocaust victim. 6. LOUIS VAN GEENS, b. 27 November 1881, Amersfoort, Utrecht, Holland. HELENA VAN GEENS was born 09 December 1841 in Meppel, Drenthe, Holland. She married LEVIE JACOBS 29 September 1869 in Arnhem, Holland. 1. CLARA JACOBS, b. 10 July 1870, Gouda, Holland; d. 05 February 1943, Auschwitz concentration camp, Poland - Holocaust victim. 2. LEONARD JACOBS was born 02 August 1872 in Meppel, Drenthe, Holland. He married CHARLOTTE FRIJDA 19 April 1906 in Amsterdam, Holland, daughter of ALEXANDER FRIJDA and MATHILDA JACOBS. She was born 17 October 1872 in Groningen, Holland, and died 23 February 1945 in Alkemade, Holland. Resided, February 1941: Euterpestraat 124 I, Amsterdam, Holland. 3. PHILIP ELIAS JACOBS ) was born 29 February 1884 in Zutphen, Holland, and died 28 May 1943 in Sobibor death camp, Poland - Holocaust victim. He married SOPHIE COHN 08 September 1910 in Zutphen, Holland, daughter of ABRAHAM COHN and RICKA STERN. She was born 07 August 1877 in Wünnenberg, Germany, and died 07 May 1943 in Sobibor death camp, Poland - Holocaust victim. Resided with family, February 1941: Waverstraat 101 III, Amsterdam, Holland. 1. ARNOLD LOUIS JACOBS, b. 02 March 1912, Bottrop, North Rhine-Westphalia, Germany; d. 02 May 1945, Municipality unknown - Holocaust victim. ROUWCHIEN VAN GEENS was born 16 August 1843 in Meppel, Drenthe, Holland, and died 11 January 1888. She married JACOB DE ZOETE, son of MOZES DE ZOETE and JETJE KOCH. He was born 20 September 1842 in Amersfoort, Utrecht, Holland. 1. JETJE DE ZOETE, b. 21 September 1875, Amersfoort, Utrecht, Holland. 2. LOUIS DE ZOETE, b. 28 May 1877, Amersfoort, Utrecht, Holland; d. 20 December 1941, Apeldoorn, Gelderland, Holland. Jewish psychiatric institution. From 1909 onward, Jewish psychiatric patients received the most advanced treatment amid the surroundings of the Apeldoorn forest. The Apeldoornse Bos expanded rapidly and had 900 patients by 1938. In the night of 21 to 22 January 1943 the Apeldoornse Bos was ’emptied‘. Patients and nurses were sent to Auschwitz, where almost everybody was killed immediately upon arrival. 3. MAURITS DE ZOETE, b. 28 November 1878, Utrecht, Holland; d. 31 January 1945, Sachsenhausen concentration camp, Oranienburg, Brandenburg, Germany – Holocaust victim. 4. BERENDINA DE ZOETE was born 02 February 1881 in Uithoorn, Holland, and died 09 April 1943 in Sobibor death camp, Poland - Holocaust victim. She married AARON MAGNUS 23 May 1923 in Rotterdam, Holland, son of SIMEON MAGNUS and MATTJE BOS. He was born 05 July 1888 in Emmen, Drenthe, Holland, and died 17 June 1935 in Apeldoorn, Gelderland, Holland. ELIAS VAN GEENS was born 03 July 1845 in Meppel, Drenthe, Holland, and died 01 June 1923 in Meppel, Drenthe, Holland. He married HESTER BLOM 13 August 1873 in Uithoorn, Holland, daughter of MACHIEL BLOM and MARIA CONSENHEIM. She was born 05 September 1846 in Uithoorn, Holland, and died 30 December 1931 in Meppel, Drenthe, Holland. 1. MIETJE VAN GEENS, b. 16 May 1874, Meppel, Drenthe, Holland; d. 13 June 1874, Meppel, Drenthe, Holland. 2. BERTHA VAN GEENS, b. 07 June 1875, Meppel, Drenthe, Holland; d. 17 May 1877, Meppel, Drenthe, Holland. 3. MACHIEL VAN GEENS, b. 13 August 1876, Meppel, Drenthe, Holland; d. 27 May 1877, Meppel, Drenthe, Holland. 4. LEVIE VAN GEENS, b. 15 October 1877, Meppel, Drenthe, Holland. 5. MACHIEL VAN GEENS, b. 04 June 1879, Meppel, Drenthe, Holland; d. 31 July 1879, Meppel, Drenthe, Holland. 6. BERTHA VAN GEENS, b. 04 September 1880, Meppel, Drenthe, Holland; d. 07 May 1943, Sobibor death camp, Poland - Holocaust victim. 7. MARIA VAN GEENS, b. 30 August 1881, Meppel, Drenthe, Holland; d. 06 September 1881, Meppel, Drenthe, Holland. 8. MARIA VAN GEENS, b. 22 November 1882, Meppel, Drenthe, Holland; d. 11 June 1943, Sobibor death camp, Poland - Holocaust victim. ELIAS VAN GEENS was born 25 December 1838 in Meppel, Drenthe, Holland. He married KLAARTJE PRINS 05 June 1869 in Meppel, Drenthe, Holland, daughter of ABRAHAM PRINS and ESTER BORCHARDT. She was born 16 September 1835 in Amsterdam, Holland. 1. VROUWTJE VAN GEENS, b. 30 March 1870, Meppel, Drenthe, Holland; d. 11 May 1870, Meppel, Drenthe, Holland. 2. BRAHAM VAN GEENS, b. 11 September 1871, Meppel, Drenthe, Holland. 3. VROUWTJE VAN GEENS, b. 16 October 1873, Meppel, Drenthe, Holland; d. 14 January 1943, Auschwitz concentration camp, Poland - Holocaust victim. Resided 1942: The Jewish home for the elderly, Beth Mikloth Lezikno, Markt 5, Arnhem, Holland. SAMUEL VAN GEENS was born 20 November 1847 in Meppel, Drenthe, Holland, and died 18 January 1931. He married EVA MATTEMAN 21 October 1874 in Rotterdam, Holland, daughter of SAMUEL MATTEMAN and JUDIC STIBBE. She was born 13 August 1847 in Schagen, Holland, and died 13 March 1943 in Sobibor death camp, Poland - Holocaust victim. Burial: 20 January 1931, Dieman Cemetery, Amsterdam, Holland. 1. HENRI VAN GEENS, b. 26 March 1879, Amsterdam, Holland; d. 14 September 1942, Auschwitz concentration camp, Poland - Holocaust victim. DAVID VAN GEENS was born 12 August 1850 in Meppel, Drenthe, Holland, and died 21 September 1914 in Meppel, Drenthe, Holland. He married ROSETTA PHILIPS 23 January 1885 in Doetinchem, Gelderland, Achterhoek, Holland, daughter of PHILIP PHILIPS and JETTE ISRAEL. She was born 11 September 1859 in Doetinchem, Gelderland, Achterhoek, Holland, and died 27 August 1918 in Zwolle, Overijssel, Holland. 1. VROUWGIEN VAN GEENS, b. 27 January 1886, Doetinchem, Gelderland, Achterhoek, Holland; d. 01 April 1969, Amsterdam, Holland. 2. PHILIP VAN GEENS, b. 09 February 1889, Doetinchem, Gelderland, Achterhoek, Holland; d. 21 May 1957, Heerlen, Limburg, Holland. 3. HENRI (HARRY) VAN GEENS, b. 05 February 1891, Doetinchem, Gelderland, Achterhoek, Holland. 4. JETTA VAN GEENS, b. 12 October 1892, Doetinchem, Gelderland, Achterhoek, Holland; d. 15 December 1893, Doetinchem, Gelderland, Achterhoek, Holland. 5. JETTA JOHANNA VAN GEENS, b. 21 August 1896, Doetinchem, Gelderland, Achterhoek, Holland; d. 11 June 1943, Sobibor death camp, Poland - Holocaust victim. JONAS VAN GEENS was born 07 April 1860 in Meppel, Drenthe, Holland. He married MARGARETHA HALBERSTADT 02 May 1883 in Amsterdam, Holland, daughter of LEVIE HALBERSTADT and BETJE SWART. She was born 05 June 1863 in Amsterdam, Holland, and died 17 February 1923 in Amsterdam, Holland. 1. LEVIE VAN GEENS, b. 25 June 1884, Amsterdam, Holland; d. 03 September 1943, Auschwitz concentration camp, Poland - Holocaust victim. 2. HARTOG VAN GEENS, b. 11 February 1888, Amsterdam, Holland; d. 15 October 1942, Auschwitz concentration camp, Poland - Holocaust victim. 3. BETJE VAN GEENS, b. 28 April 1889, Amsterdam, Holland; d. 03 March 1943, Sobibor death camp, Poland - Holocaust victim. 4. SARA VAN GEENS, b. 25 June 1892, Amsterdam, Holland; d. 21 May 1943, Sobibor death camp, Poland - Holocaust victim. 5. ROSA VAN GEENS, b. 01 October 1894, London, England; d. 12 February 1943, Auschwitz concentration camp, Poland - Holocaust victim. IZAAK GOLDSTEEN was born 04 August 1874 in Meppel, Drenthe, Holland, and died 26 October 1942 in Auschwitz concentration camp, Poland - Holocaust victim. He married ELISABETH LEVY 13 October 1909 in Amsterdam, Holland, daughter of SALOMON LEVY and ROOSJE HARTVELD. She was born 03 January 1886 in Amsterdam, Holland, and died 21 September 1942 in Auschwitz concentration camp, Poland - Holocaust victim. Resided with family, February 1941: Sarphatistraat 111 h, Amsterdam, Holland. The Jokos file reveals that a claim was lodged for compensation for valuables surrendered to the Lippmann-Rosenthal looting bank (L-claim, number 4109/4142). 1. SAMUEL GOLDSTEEN, b. 15 February 1911, Amsterdam, Holland; d. 14 November 1942, Auschwitz concentration camp, Poland - Holocaust victim. 2. LOUIS GOLDSTEEN, b. 04 December 1915, Amsterdam, Holland; d. 14 November 1942, Auschwitz concentration camp, Poland - Holocaust victim. LOUIS GOLDSTEEN was born 18 March 1876 in Meppel, Drenthe, Holland, and died 21 September 1942 in Auschwitz concentration camp, Poland - Holocaust victim. He married HENRIETTE DE HAAS 11 May 1906 in Meppel, Drenthe, Holland, daughter of KAREL DE HAAS and KAATJE WIJNGAARD. She was born 26 October 1883 in Meppel, Drenthe, Holland, and died 01 October 1942 in Auschwitz concentration camp, Poland - Holocaust victim. Resided with family, April 1942: Beatrijsstraat 54 a, Rotterdam, Holland. The Jokos file reveals that a claim was lodged for compensation for valuables surrendered to the Lippmann-Rosenthal looting bank (L-claim, number 4112/14092). 1. SAMUEL GOLDSTEEN, b. 02 July 1911, Oss, North Brabant, Holland; d. 30 September 1942, Auschwitz concentration camp, Poland - Holocaust victim. 2. EDUARD GOLDSTEEN, b. 02 October 1913, Rotterdam, Holland; d. 31 August 1942, Mauthausen-Gusen Concentration Camp, Mauthausen, Austria - Holocaust victim. 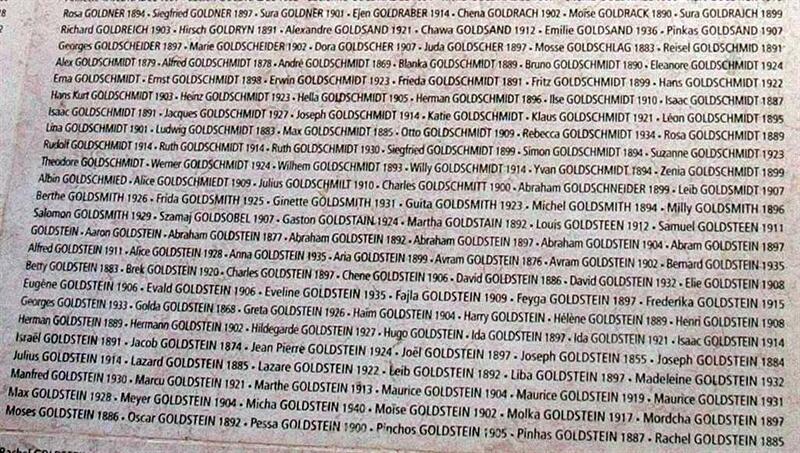 There are commemorative wall engravings dedicated to the Goldsteen family at the Holocaust Memorial Museum in Paris, France. BILHA GOLDSTEEN was born 25 October 1878 in Meppel, Drenthe, Holland, and died 01 October 1942 in Auschwitz concentration camp, Poland - Holocaust victim. She married LEVI VAN DE RHOER 23 May 1902 in Meppel, Drenthe, Holland, son of JACOB DE RHOER and VOGELTJE LEVI. He was born 23 September 1877 in Staphorst, Staphorst, Overijssel, Holland, and died 27 August 1943 in Auschwitz concentration camp, Poland - Holocaust victim. Resided with wife, July 1942:Woldstraat 58, Meppel, Holland. Levi van de Rhoer and Bilha Goldsteen had two sons: Samuel and Johan at the time of the war. Both sons were married. Their son Samuel and his wife lived with his parents. Until 1931, Levi van de Rhoer and his wife lived at Emmastraat 84 in Meppel. Later they moved to Woldstraat 58, where Levi and his son Samuel ran a butcher’s shop. Levi van de Rhoer was also a cattle trader and sometimes went on the road with his horse and cart for long periods at a time. In 1942 it was made impossible for him to practice either of these occupations under the German Nazi occupation. In July 1942 Levi van de Rhoer was forced to go to Orvelte labour camp. At the beginning of October he arrived in Westerbork transit camp, where he saw his wife and family again who had been taken away on 2 October. None of the family survived the war. 1. JACOB LEVI VAN DE RHOER, b. 17 March 1903, Meppel, Drenthe, Holland; d. 25 January 1923, Zwolle, Overijssel, Holland. 2. SAMUEL VAN DE RHOER, b. 01 September 1905, Meppel, Drenthe, Holland; d. 05 May 1906, Meppel, Drenthe, Holland. 3. SAMUEL VAN DE RHOER, b. 07 April 1909, Meppel, Drenthe, Holland; d. 31 March 1944, Auschwitz concentration camp, Poland - Holocaust victim. 4. JOHAN VAN DE RHOER, b. 06 December 1913, Meppel, Drenthe, Holland; d. 23 July 1943, Sobibor death camp, Poland - Holocaust victim; m. SARA SANDERS; b. 24 April 1913, Groningen, Holland; d. 23 July 1943, Sobibor death camp, Poland - Holocaust victim. Parents of SARA SANDERS were IZAK SANDERS born 31 May 1878 in Groningen, Holland, and died 05 November 1942 in Auschwitz concentration camp, Poland - Holocaust victim. He married SUZANNA DE GROOT 16 June 1910 in Groningen, Holland. She was born 26 January 1881 in Hamburg, Germany, and died 05 November 1942 in Auschwitz concentration camp, Poland - Holocaust victim. Resided wife, July 1942: Tweede Hoofdstraat 44 a, Meppel, Holland. Around 1920 Izak Sanders arrived in Meppel and settled there as a photographer. In 1936 he lived and worked at his first shop, then later changed location within the same area. In December 1941 during the occupation, Izak Sanders was forced to close his business. Of July 1942 he was ordered to the Vledder labour camp. Despite having a physical disability and in great pain, Izak managed to stay mobile by dragging his leg. When he arrived on October 3, 1942 in Westerbork, he found his wife already there, she had been arrested and taken from the family home the previous night. The couple had two daughters, Sara and Betje, both of whom were at the time of the war already married and no longer lived at home. None of the family survived the war. Resided with wife, June 1941: Parkweg 105 a, Groningen, Holland. Occupation: Secondary school bookkeeping teacher. Johan was a teacher at a higher school, the "Rijks HBS" in Groningen. The couple Van de Rhoer-Sanders had no children. EDUARD GOLDSTEEN was born 15 July 1882 in Meppel, Drenthe, Holland, and died 21 September 1942 in Auschwitz concentration camp, Poland - Holocaust victim. He married EVA WOLF 10 November 1920 in Meppel, Drenthe, Holland, daughter of MICHIEL WOLF and AALTJE MARCUS. She was born 03 March 1897 in Oss, North Brabant, Holland, and died 21 September 1942 in Auschwitz concentration camp, Poland - Holocaust victim. Resided with family, February 1941: Nicolaas Maesstraat 75 h, Amsterdam, Holland. 1. SIEGFRIED GOLDSTEEN, b. 15 July 1922, Amsterdam, Holland; d. 30 June 1944, Central Europe, Municipality unknown - Holocaust victim. 2. BETSY GOLDSTEEN, b. 25 March 1929, Amsterdam, Holland; d. 21 September 1942, Auschwitz concentration camp, Poland - Holocaust victim. 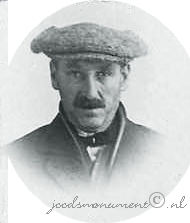 EDINA ITALLIE was born 07 August 1867 in Meppel, Drenthe, Holland, and died 11 April 1912 in Hilversum, Holland. She married LEVIE MESRITZ 05 February 1898 in Meppel, Drenthe, Holland, son of ANDRIES MESRITZ and SAARTJE DE HES. He was born 12 April 1864 in Meppel, Drenthe, Holland, and died 03 March 1922 in Hilversum, Holland. 1. EMIL ADOLF MESRITZ, b. 27 June 1900, Amsterdam, Holland; d. 23 April 1943, Sobibor death camp, Poland - Holocaust victim. BETSIE GOLDSTEEN was born 07 July 1888 in Meppel, Drenthe, Holland, and died 03 September 1943 in Auschwitz concentration camp, Poland - Holocaust victim. She married JACOB LUTERAAN. He was born 03 March 1880 in Amsterdam, Holland, and died 16 July 1943 in Sobibor death camp, Poland - Holocaust victim. Resided with family, February 1941: De Kempenaerstraat 47 I, Amsterdam, Holland. Betsie Goldsteen and Jacob Luteraan had three children of which two survived the war. The two surviving children most likely no longer lived with their parents during the occupation of the Netherlands. 1. MAURICE LUTERAAN, b. 02 December 1917, Amsterdam, Holland; d. 28 February 1945, Central Europe, Municipality unknown - Holocaust victim. BERTHA VAN GEENS was born 02 December 1870 in Amersfoort, Utrecht, Holland, and died 28 January 1913 in Amsterdam, Holland. She married ABRAHAM DE LEEUW 25 March 1897 in Amsterdam, Holland, son of BENJAMIN DE LEEUW and KLAARTJE RUBENS. He was born 12 December 1868 in Kortenhoef, Wijdemeren, Holland,, and died 16 November 1940 in Amsterdam, Holland. 1. KLAARTJE DE LEEUW, b. 19 December 1897, Amsterdam, Holland. 2. BETJE DE LEEUW, b. 22 July 1899, Amsterdam, Holland. 3. HENRIETTE DE LEEUW was born 13 January 1907 in Amsterdam, Holland, and died 30 September 1942 in Auschwitz concentration camp, Poland - Holocaust victim. HELENA VAN GEENS was born 21 August 1874 in Amersfoort, Utrecht, Holland, and died 23 April 1942 in Sobibor death camp, Poland - Holocaust victim. She married SIMON BARTELS 21 January 1906 in Zaandam, Holland, son of JOSEPH BARTELS and RACHEL WIJL. He was born 05 September 1879 in Amsterdam, Holland. Resided: Wagenaarstraat 34 I, Amsterdam, Holland. 1. JOSEPH HIJMAN BARTELS, b. 25 February 1906, Amsterdam, Holland; d. 23 September 1943, Auschwitz concentration camp, Poland - Holocaust victim. BELA VAN GEENS was born 10 November 1876 in Amersfoort, Utrecht, Holland, and died 25 July 1938 in Amsterdam, Holland. She married RAPHAEL KAPPER 07 December 1899 in Amsterdam, Holland, son of SAMUEL KAPPER and RACHEL SEQUIRA. He was born 26 December 1878 in Amsterdam, Holland, and died 26 February 1967 in Vinkeveen, Utrecht, De Ronde Venen, Holland. Burial: 27 July 1938, Diemen, Holland. 1. SAMUEL KAPPER, b. 12 September 1900, Amsterdam, Holland. 2. ELIAZER KAPPER, b. 06 November 1901, Amsterdam, Holland; d. 27 January 1943, Mauthausen-Gusen Concentration Camp, Mauthausen, Austria - Holocaust victim. .
Resided: Stadionkade 84 II, Amsterdam, Holland. 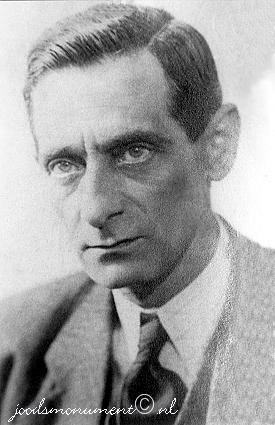 Eliazer Kapper was a member of the resistance (OGS). He married a non-Jewish woman, who with their three children survived the war. Eliazer Kapper was arrested for not wearing the obligatory yellow star of David patch on his clothes. 3. JACQUES KAPPER, b. 19 July 1908, Amsterdam, Holland; d. 01 November 1908, Amsterdam, Holland. CLARA JACOBS was born 10 July 1870 in Gouda, Holland, and died 05 February 1943 in Auschwitz concentration camp, Poland - Holocaust victim. She married IZAAK MESRITZ 23 December 1898 in Zutphen, Holland, son of MEIJER MESRITZ and SAARTJE WAGENAAR. He was born 10 April 1874 in Meppel, Drenthe, Holland, and died 24 December 1940 in Maartensdijk, Utrecht, De Bilt, Holland. Resided: Mr. Tripkade 2, Maartensdijk, Holland. 1. SARLINA MESRITZ, b. 01 December 1900, Meppel, Drenthe, Holland; d. 21 May 1943, Sobibor death camp, Poland - Holocaust victim. 2. LOUIS MESRITZ, b. 09 June 1902, Meppel, Drenthe, Holland; d. 31 March 1944, Central Europe, Municipality unknown - Holocaust victim; m. JOSEPHINE VAN REES; b. 31 January 1901, The Hague, Holland; d. 02 November 1942, Auschwitz concentration camp, Poland - Holocaust victim. Resided with wife, April 1941: Oranjelaan 49, Rijswijk, Holland. Belonging to: Louis Mesritz and his family, Rijswijk. Attic and 3 rooms: wooden bed, table, pots, ace curtains (4), lamp (2), floor covering. 4 rooms: chest of drawers, cooker, umbrella, coal-scuttle, drawing board, ironing board, drying rack, table (2), chair, wall plate (6), floor covering, mirror. Kitchen, corridor and 3 rooms: bookcase, bookshelves, flower table, table, chair (2), mat, runner, worthless items. 3. MAURITZ LEONARD MESRITZ, b. 21 November 1903, Meppel, Drenthe, Holland; d. 30 April 1943, Auschwitz concentration camp, Poland - Holocaust victim; m. ESTHER EMMA SANDERS, 28 July 1937, Amsterdam, Holland; b. 19 February 1912, Amsterdam, Holland; d. 05 February 1943, Auschwitz concentration camp, Poland - Holocaust victim. Parents of ESTHER EMMA SANDERS were SANDER LAZARUS SANDERS born 17 February 1887 in Gouda, Holland, and died 28 May 1943 in Sobibor death camp, Poland - Holocaust victim. He married JUDITH VEGA 27 April 1911 in Amsterdam, Holland. She was born 09 June 1874 in Naarden, Gooi, Holland, and died 28 May 1943 in Sobibor death camp, Poland - Holocaust victim. Resided with family, February 1941: Scheldestraat 86 I, Amsterdam, Holland. The Jokos file reveals that a claim was lodged for compensation for valuables surrendered to the Lippmann-Rosenthal looting bank (L-claim, number 10541/8570). 4. ELI MESRITZ, b. 30 December 1909, Meppel, Drenthe, Holland; d. 25 December 1943, Auschwitz III, aka Monowitz concentration camp, Oswiecim Poland – Holocaust victim . JAKOB JACOBS was born 22 March 1879 in Zutphen, Holland, and died 19 February 1943 in Auschwitz concentration camp, Poland - Holocaust victim. He married EMMA NEHEIMER. Resided: Waverstraat 101 I, Amsterdam, Holland. 1. HEINZ LUDWIG JACOBS was born 29 August 1915 in Münster, North Rhine-Westphalia, Germany, and died 04 June 1943 in Sobibor death camp, Poland - Holocaust victim. He married HANNA DE GOEDE, daughter of LEVIE DE GOEDE and RACHEL WALVIS. She was born 04 October 1911 in Amsterdam, Holland, and died 04 June 1943 in Sobibor death camp, Poland - Holocaust victim. Parents of Hanna de Goede were LEVIE DE GOEDE born 17 March 1885 in Amsterdam, Holland, and died 13 March 1943 in Sobibor death camp, Poland - Holocaust victim. He married RACHEL WALVIS 24 October 1906 in Amsterdam, Holland. She was born 19 August 1873 in Amsterdam, Holland, and died 13 March 1943 in Sobibor death camp, Poland - Holocaust victim. Resided with family, February 1942: Retiefstraat 116 III, Amsterdam, Holland. worked as a kitchen servant in the Apeldoornse Bos, where he began working on 30 April 1942. MAURITS DE ZOETE was born 28 November 1878 in Utrecht, Holland, and died 31 January 1945 in Sachsenhausen concentration camp, Oranienburg, Brandenburg, Germany – Holocaust victim. He married BERTHA HAMBURG 05 July 1922 in Amsterdam, Holland, daughter of SALOMON HAMBURG and ROZETTA GROEN. She was born 03 May 1881 in Amsterdam, Holland, and died 15 April 1945 in Bergen-Belsen concentration camp, Germany - Holocaust. Resided with family, February 1941: Merwedeplein 18 huis, Amsterdam, Holland. 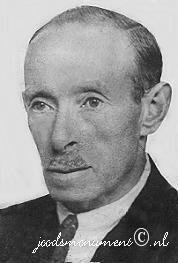 According to the death records of camp Sachsenhausen, Maurits de Zoete died on 6 December 1944. It is possible this date is different from the official day of death as established after the war by the Department of Justice. Was one of the first Nazi concentration camps, built at Oranienburg in 1933. In 1936 it was replaced by the Sachsenhausen concentration camp which continued to operate until the end of the Nazi regime; 200,000 people were interned in Sachsenhausen over the 9 years the camp was operational under the Nazis. 22,000 were murdered by the Nazis before the liberation of the camp by the Soviet Red Army in 1945. Following this the site was reopened in August 1945 as Soviet Special Camp 7. A further 12,000 people (mostly Nazis not awaiting trial) died under the Soviets before the Special Camp was closed in 1950. Their remains were not discovered until the 1990s. 1. JACOB SALOMON DE ZOETE, b. 14 October 1923, Amsterdam, Holland; d. 31 May 1945, Bergen-Belsen concentration camp, Germany - Holocaust. On 26 February 1814 King William I decreed that the Nederlandsch Israëlitisch Seminarium (NIS) was to be established in Amsterdam to train rabbis, teachers and other officers serving the Jewish community. Jacob Salomon de Zoete, son of Maurits, attended the NIS. BERTHA VAN GEENS was born 04 September 1880 in Meppel, Drenthe, Holland, and died 07 May 1943 in Sobibor death camp, Poland - Holocaust victim. She married JOEL VAN DE RHOER 17 June 1900 in Meppel, Drenthe, Holland, son of JACOB DE RHOER and VOGELTJE LEVI. He was born 03 December 1875 in Staphorst, Overijssel, Holland, and died 07 May 1943 in Sobibor death camp, Poland - Holocaust victim. Resided with family, July 1942: Stationsweg 6, Meppel, Holland. At a very early age, Joël van de Rhoer had already become one of the biggest cattle traders in the north of Holland. In Meppel his wealth earned him the nickname ‘De Rijke’ (‘the Rich’). For many years he chaired the Drenthe branch of the Dutch Association of Cattle Traders, in which capacity he also served on the executive committee of Drenthe’s Agriculture Society. He also served for several years as treasurer on the board of the Jewish congregation. In 1933 Joel van de Rhoer moved to Stationsweg 6 with his wife and children. In November 1941 his cattle-trading business was liquidated and in September 1942 he was forced to leave his home, since it had been requisitioned by the Wehrmacht. Joël and his wife moved in with acquaintances on Hoofdstraat. During the night of 2-3 October 1942, Joël van de Rhoer and his wife were arrested there and taken to Westerbork transit camp, where they saw their two children again. The children later managed to escape from the camp. Earlier they had tried to persuade their parents to escape with them, but without success due to concerns by their parents that they may place a hindrance for a fast get a way on their children. Both children survived the war. 1. JACOB EDUARD VAN DE RHOER, b. 13 April 1904, Meppel, Drenthe, Holland. 2. EDUARD VAN DE RHOER, b. 17 July 1908, Meppel, Drenthe, Holland; d. 10 June 1994, Bussum, Holland. MARIA VAN GEENS was born 22 November 1882 in Meppel, Drenthe, Holland, and died 11 June 1943 in Sobibor death camp, Poland - Holocaust victim. She married HARTOG BENJAMIN VAN DAM 26 August 1910 in Meppel, Drenthe, Holland, son of ABRAHAM VAN DAM and BEELTJE GOLDBERG. He was born 28 December 1882 in Zuidhorn, Groningen, Holland, and died 11 June 1943 in Sobibor death camp, Poland - Holocaust victim. Resided with family, July 1942: Dapperstraat 1, Tilburg, Holland. Belonging to: Hartog Benjamin van Dam and his family, Tilburg. kitchenware and cooking utensils. Corridor: runner, coat hooks, wall plate (3). Side-room: house ware, old items. Room: cane mat, double bed with accessories, washstand with washbasin, bedside table, chair, wall cupboard with ladies' and gents' clothing, lace curtain (4), drape (4), lamp. Room: cane mat, bedside table, bed with accessories, washstand with washbasin, chair, wall cupboard with ladies' clothing, lace curtain (2), drape (2), lamp, mirror. Room: bed with accessories, chair (2), stool, gents' clothing, underwear, lace curtain (4). Attic: worthless items. 1. ABRAHAM ELIE VAN DAM, b. 30 December 1911, Noordhorn, Zuidhorn, Groningen, Holland; d. 31 March 1944, Central Europe, Municipality unknown - Holocaust victim. In the summer of 1942, Abraham Elie van Dam went into hiding, but he was caught and deported. 2. ESTELLA VAN DAM, b. 18 June 1917, Groningen, Holland; d. 03 September 1942, Auschwitz concentration camp, Poland - Holocaust victim. Occupation: Packer at a knitwear factory. HENRI VAN GEENS was born 26 March 1879 in Amsterdam, Holland, and died 14 September 1942 in Auschwitz concentration camp, Poland - Holocaust victim. He married AALTJE GRIETJE KROPVELD 07 June 1906 in Amsterdam, Holland, daughter of VICTOR KROPVELD and ROSETTE KOSSES. She was born 18 June 1887 in Bellingwolde, Bellingwedde, Westerwolde, Groningen, Holland, and died 01 August 1942 in Amsterdam, Holland. Resided with family, February 1941: Swammerdamstraat 46 III, Amsterdam, Holland. 1. EVA VAN GEENS, b. 26 January 1907, Amsterdam, Holland; d. 02 August 1942, Auschwitz concentration camp, Poland - Holocaust victim; m. HIJMAN WITTENBURG, October 1939, Amsterdam, Holland; b. 19 November 1904, Amsterdam, Holland; d. 30 September 1942, Auschwitz concentration camp, Poland - Holocaust victim. Resided with family, February 01, 1941: Louis Bothastraat 8 I, Amsterdam, Holland. Hijman Wittenburg was a son of Salomon Wittenburg and Eva van Lochem. He married Saartje Kropveld on 29 August 1928. Together they had three children. Saartje died in February 1933. Their son Emanuel Victor was brought to the Megadle Jethomiem (Educators of Orphans) in November 1933. The two other children stayed at home. 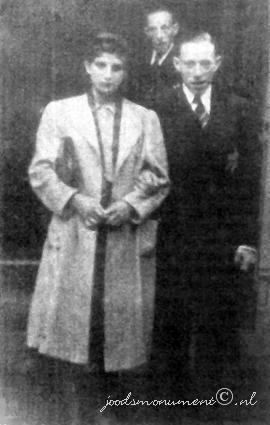 Hijman Wittenburg married Eva van Geens in October 1939. Parents of HIJMAN WITTENBURG were SALOMON WITTENBURG born 31 January 1878 in Amsterdam, Holland, and died 05 February 1943 in Auschwitz concentration camp, Poland - Holocaust victim. He married EVA VAN LOCHEM 19 October 1904 in Amsterdam, Holland. She was born 06 October 1875 in Amsterdam, Holland, and died 05 February 1943 in Auschwitz concentration camp, Poland - Holocaust victim. Resided with wife: Krugerplein 34 II, Amsterdam, Holland. Salomon Wittenburg and Eva van Lochem had six children. Two died before the war and four perished during the war. 2. SAMUEL VAN GEENS, b. 06 June 1909, Amsterdam, Holland; d. 01 May 1910, Amsterdam, Holland. 3. ROZETTE VAN GEENS, b. 28 May 1911, Amsterdam, Holland; d. 27 April 1964, Amsterdam, Holland. 4. SAMUEL VAN GEENS, b. 09 July 1915, Amsterdam, Holland; d. 31 March 1944, Auschwitz concentration camp, Poland - Holocaust victim. 5. VICTOR EMANUEL VAN GEENS, b. 27 October 1919, Amsterdam, Holland; d. 30 September 1942, Auschwitz concentration camp, Poland - Holocaust victim. VROUWGIEN VAN GEENS was born 27 January 1886 in Doetinchem, Gelderland, Achterhoek, Holland, and died 01 April 1969 in Amsterdam, Holland. She married JACOB PILLER 12 February 1913 in Amsterdam, Holland, son of EMANUEL PILLER and ANNA MOSSEL. He was born 10 October 1889 in Amsterdam, Holland, and died 22 October 1942 in Auschwitz concentration camp, Poland - Holocaust victim. Resided with wife, February 1941: Kramatweg 33 I, Amsterdam, Holland. 1. ANNA PILLER, b. 09 July 1913, Essen, Germany; d. 23 March 2007, Amsterdam, Holland; m. JAN LAMBERTUS KAMPMEIJER, 03 May 1935, Blaricum, Amsterdam, Holland; b. 09 April 1908, Amsterdam, Holland; d. 01 March 2006, Amsterdam, Holland. 2. ROSA PILLER, b. 23 March 1915, Amsterdam, Holland; d. 09 May 2011. 3. BETSIE (BEP) PILLER, b. 17 July 1918, Amsterdam, Holland; d. 28 February 1945, Central Europe, Municipality unknown - Holocaust victim. Resided: Jewish Hospital, Schietbaanlaan 42, Rotterdam, Holland. At the beginning of the war Betsie Piller worked as a nurse at the Joods Ziekenhuis (Jewish hospital) in Rotterdam. Later on she went into hiding. Betsie Piller was picked up and died in 1943 on the way from Theresienstadt to Auschwitz. Her mother and two siblings survived the war. On 26 February 1943 all patients and staff were deported to Westerbork transit camp. JETTA JOHANNA VAN GEENS was born 21 August 1896 in Doetinchem, Gelderland, Achterhoek, Holland, and died 11 June 1943 in Sobibor death camp, Poland - Holocaust victim. She met (1) MEIJER LIPSCHITS, son of GABRIEL LIPSCHITS and HEINTJE DE LEEUWE. He was born 03 June 1899 in Zutphen, Gelderland, Holland, and died 24 September 1943 in Auschwitz concentration camp, Poland - Holocaust victim. She married (2) HARTOG VEGT 20 February 1912 in Zwolle, Overijssel, Holland, son of MOZES VEGT and REBECCA DE LEEUWE. He was born 31 December 1890 in Zwolle, Overijssel, Holland, and died 01 October 1944 in Auschwitz concentration camp, Poland - Holocaust victim. Parents of MEIJER LIPSCHITS were GABRIEL HARTOG LIPSCHITS born 02 July 1868 in Zutphen, Gelderland, Holland, and died 06 April 1933 in Zutphen, Gelderland, Holland. He married HEINTJE DE LEEUWE 25 September 1896 in Zutphen, Gelderland, Holland. She was born 16 July 1867 in Zwolle, Overijssel, Holland, and died 14 May 1943 in Sobibor death camp, Poland - Holocaust victim. Resided: Spiegelstraat 46 a, Zutphen, Holland. Heintje de Leeuwe was a daughter of Abraham Isaac de Leeuwe and Sara Meijer. Gave birth to a stillborn child - November 16, 1927, Amsterdam, Holland. Hartog Vegt was a son of Mozes Vegt and Rebecca de Leeuwe. He married Jetta Johanna van Geens in Zwolle on February 20, 1912. The marriage was annulled. Hartog Vegt married a third time on 5 August 1942 in Amsterdam to Maria Sophia Schijveschuurder. A son from the first marriage survived the war by attending a catholic school and using a false name. 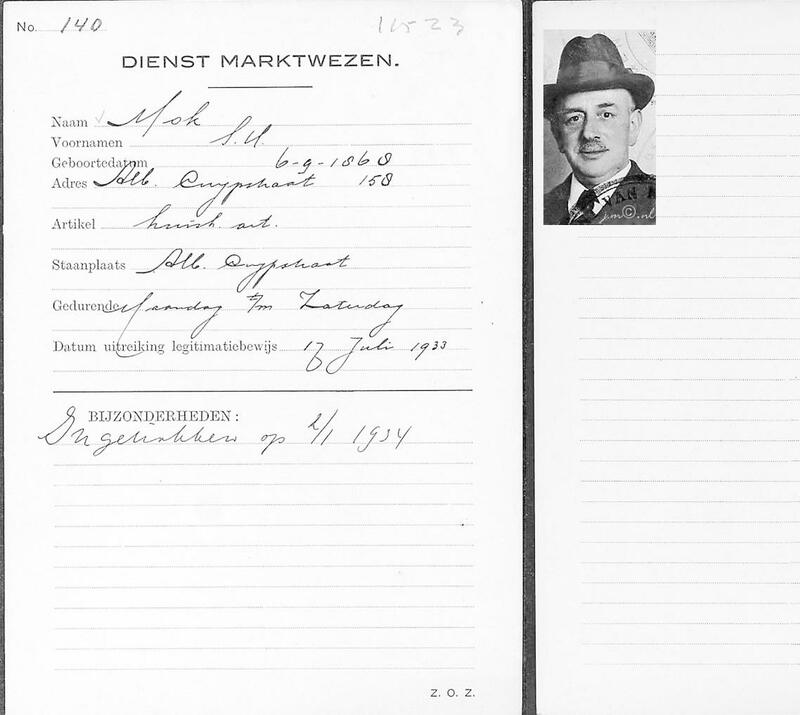 Resided with family, April 1941: Frankensteeg 5, Zutphen, Holland. 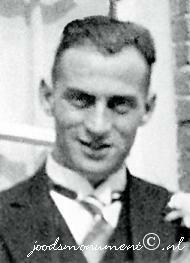 Meijer Lipschits was born on June 3, 1899 in Zutphen, the son of Gabriel Hartog Lipschits and Heintje the Leeuwe. He had at least one sister, Rebecca (1903) and a brother Solomon (1906). Meijer was married to Jetta Johanna van Geens. In 1927. Jetta was separated from her first husband, Hartog Vegt. Jetta and Meijer had a daughter in 1929: Heintje ('Henny'). The family is at April 9, 1943 deported to Vught concentration camp, along with Grandma Heintie de Leeuwe. It was after the departure of her daughter Rebecca (they lived together in the Spiegelstraat) moved in with her son. Rebecca was on November 18, 1942 sent to Westerbork transit camp and had tried to stay (mother sick, working in essential appeal), but she was deported on November 30, 1942 to Auschwitz, where she was murdered after arriving on December 3. 1942. Grandma Heintje is transferred from Vught on June 9, 1943 and deported to Westerbork then onto Sobibor on May 11, 1943. Jetta and her daughter followed on June 7, 1943 with the so-called children's transport. On June 8 they arrived in Westerbork and were later deported to Sobibor. Only Meijer remained in the Vught concentration camp. He goes on September 17, 1943 to Westerbork and four days later deported to Auschwitz, where he is murdered after arriving on September 24, 1943. 1. HEINTJE (HENNY) LIPSCHITS, b. 25 December 1929, Zutphen, Gelderland, Holland; d. 11 June 1943, Sobibor death camp, Poland - Holocaust victim. Heintje Lipschits was deported to Sobibor in June 1943 from Vught via Westerbork on the so-called children's transport. She was 13 when she died. LEVIE VAN GEENS was born 25 June 1884 in Amsterdam, Holland, and died 03 September 1943 in Auschwitz concentration camp, Poland - Holocaust victim. He married JUDITH HART 29 March 1911 in Rotterdam, Holland, daughter of MARCUS HART and MIETJE STAD. She was born 28 November 1888 in Rotterdam, Holland, and died 22 October 1943 in Auschwitz concentration camp, Poland - Holocaust victim. Parents of JUDITH HART were MARCUS HART born 09 July 1863 in Rotterdam, Holland, and died 16 November 1929 in Rotterdam, Holland. He married (1) MARIANNA BRAUN 13 May 1885 in Rotterdam, Holland. She was born 29 September 1860 in Rotterdam, Holland, and died 12 January 1887 in Rotterdam, Holland. He married (2) MIETJE STAD 14 November 1888 in Rotterdam, Holland. She was born 03 September 1869 in Rotterdam, Holland, and died 13 March 1943 in Sobibor death camp, Poland - Holocaust victim. Resided: Haarlemmerstraat 184, Leiden, Holland. 1. JONAS VAN GEENS, b. 12 May 1911, Rotterdam, Holland; d. 28 February 1945, Central Europe, Municipality unknown - Holocaust victim. Jona (Joop) van Geens played as pianist in an orchestra during the years 1930. He was in those days the regular accompanist of the then famous singer Leo Fuld from Rotterdam, who was widely known because of his appearances in radio programs of the VARA. A part of the music piece "Love me and the world is mine" with written on it by Jonas (Joop/Jos) van Geens: "To my dear friend Leon with my best wishes for his future". Signed by Jos van Geens, 6 February 1940. 2. MARCUS VAN GEENS, b. 17 May 1912, Rotterdam, Holland; d. 28 February 1943, Auschwitz concentration camp, Poland - Holocaust victim. 3. VROUWTJE VAN GEENS, b. 28 April 1917, Rotterdam, Holland; d. 03 December 1942, Auschwitz concentration camp, Poland - Holocaust victim. Vrouwtje van Geens joined the Hollandia-Kattenburg textile factory in Amsterdam on 20 June 1935. On Wednesday, 11 November 1942, around 4:30 PM, Willy Lages conducted the Sicherheitspolizei raid on the Hollandia factories. All exits were blocked, and the Jewish staff members were taken away that evening. Photographs of all workers taken away that evening, as well as those deported previously, appear in the 'Boek der tranen' [Book of tears]. 4. DAVID VAN GEENS, b. 18 November 1918, Amsterdam, Holland; d. 30 April 1996, Amsterdam, Holland. 5. JACOB VAN GEENS, b. 24 February 1924, Amsterdam, Holland; d. 01 May 1944, Auschwitz concentration camp, Poland - Holocaust victim. 6. HARTOG VAN GEENS, b. 23 April 1931, Amsterdam, Holland; d. 22 October 1943, Auschwitz concentration camp, Poland - Holocaust victim. 7. ELIE VAN GEENS, b. 18 November 1934, Amsterdam, Holland; d. 22 October 1943, Auschwitz concentration camp, Poland - Holocaust victim. HARTOG VAN GEENS was born 11 February 1888 in Amsterdam, Holland, and died 15 October 1942 in Auschwitz concentration camp, Poland - Holocaust victim. He married PAULINA SILBERSTEIN 24 July 1918 in Rotterdam, Holland, daughter of ABRAHAM SILBERSTEIN and SOPHIA LEVY. She was born 06 October 1888 in Rotterdam, Holland, and died 15 October 1942 in Auschwitz concentration camp, Poland - Holocaust victim. Resided with family, April 1942: Van Ravesteinstraat 384, Den Haag, Holland. 1. JONAS VAN GEENS, b. 24 June 1922, Rotterdam, Holland; d. 28 February 1943, Auschwitz concentration camp, Poland - Holocaust victim. 2. SOPHIA VAN GEENS, b. 10 August 1925, Rotterdam, Holland; d. 28 May 1943, Auschwitz concentration camp, Poland - Holocaust victim. 3. LEVIE VAN GEENS, b. 17 February 1929, Rotterdam, Holland; d. 15 October 1942, Auschwitz concentration camp, Poland - Holocaust victim. BETJE VAN GEENS was born 28 April 1889 in Amsterdam, Holland, and died 03 March 1943 in Sobibor death camp, Poland - Holocaust victim. She married SIMON ERWTEMAN 1914 in Amsterdam, Holland, son of JUDA ERWTEMAN and BETJE CANES. He was born 11 June 1887 in Amsterdam, Holland, and died 05 March 1943 in Sobibor death camp, Poland - Holocaust victim. Parents of SIMON ERWTEMAN were JUDA ERWTEMAN born 23 July 1862 in Amsterdam, Holland, and died 26 February 1943 in Auschwitz concentration camp, Poland - Holocaust victim. He married (1) BETJE CANES 01 October 1885 in Amsterdam, Holland, daughter of JOZEPH KANES and SAARTJE SCHELLEVIS. She was born 24 November 1865 in Amsterdam, Holland, and died 15 October 1928 in Amsterdam, Holland. He married (2) HELENA DE VRIES 15 November 1933 in Amsterdam, Holland, daughter of JACOB DE VRIES and JUDIC VIEIJRA. She was born 30 June 1875 in Amsterdam, Holland, and died 26 February 1943 in Auschwitz concentration camp, Poland - Holocaust victim. Resided with husband, Juda Erwteman on February 1941: Retiefstraat 96 II, Amsterdam, Holland. 1. MARGARETHA ERWTEMAN, b. 15 September 1915, Rotterdam, Holland; d. 30 September 1942, Auschwitz concentration camp, Poland - Holocaust victim. 2. JONAS ERWTEMAN, b. 02 April 1917, Amsterdam, Holland; d. 04 June 1943, Sobibor death camp, Poland - Holocaust victim. SARA VAN GEENS was born 25 June 1892 in Amsterdam, Holland, and died 21 May 1943 in Sobibor death camp, Poland - Holocaust victim. She married PHILIP VENETIANER 24 September 1913 in Rotterdam, Holland, son of JACOB VENETIANER and ROOSJE MOF. He was born 26 June 1892 in Amsterdam, Holland, and died 22 January 1975 in Amsterdam, Holland. Parents of PHILIP VENETIANER were JACOB VENETIANER born 22 November 1859 in Steenwijkerland, Overijssel, Holland. He married ROOSJE MOF 27 April 1892 in Amsterdam, Holland. She was born 07 December 1867 in Amsterdam, Holland, and died 30 April 1943 in Sobibor death camp, Poland - Holocaust victim. Resided, February 1941: Laing's Nekstraat 25 I, Amsterdam, Holland. Resided: Groenburgwal 33 huis, Amsterdam, Holland. 1. ROOSJE VENETIANER, b. 08 December 1913, Amsterdam, Holland; d. 19 July 2010, Amsterdam, Holland; m. LOUIS VAN PRAAG, 29 March 1934, Amsterdam, Holland; b. 25 August 1906, Amsterdam, Holland; d. 15 May 1998, Antwerp, Belgium. 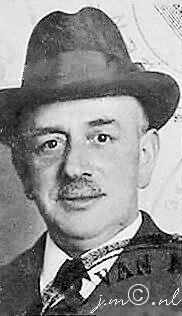 Parents of LOUIS VAN PRAAG were NAPHTALI VAN PRAAG born 22 June 1878 in Amsterdam, Holland, and died 26 February 1943 in Auschwitz concentration camp, Poland - Holocaust victim. He married RACHEL VLEESCHDRAGER 30 May 1901 in Amsterdam, Holland. She was born 12 May 1877 in Amsterdam, Holland, and died 26 January 1943 in Auschwitz concentration camp, Poland - Holocaust victim. Resided with wife, February 1941: Burgemeester Tellegenstraat 20 II, Amsterdam, Holland. 2. MARGARETHA VENETIANER, b. 13 July 1915, Amsterdam, Holland; d. 28 May 1943, Sobibor death camp, Poland - Holocaust victim. 3. MARIANNE VENETIANER, b. 20 July 1918, Amsterdam, Holland; d. 03 December 1942, Auschwitz concentration camp, Poland - Holocaust victim. 4. FRANCISCA VENETIANER, b. 03 March 1927, Amsterdam, Holland; d. 28 May 1943, Sobibor death camp, Poland - Holocaust victim. 5. JACOB PHILIP VENETIANER, b. 15 April 1931, Amsterdam, Holland; d. 21 May 1943, Sobibor death camp, Poland - Holocaust victim. MARIANNE VENETIANER was born 20 July 1918 in Amsterdam, Holland, and died 03 December 1942 in Auschwitz concentration camp, Poland - Holocaust victim. She married HERMAN SLIER, son of SALOMON SLIER and REBECCA SWART. He was born 22 February 1919 in Amsterdam, Holland, and died 31 March 1944 in Central Europe, Municipality unknown - Holocaust victim. Parents of HERMAN SLIER were SALOMON SLIER born 06 August 1881 in Amsterdam, Holland, and died 03 December 1942 in Auschwitz concentration camp, Poland - Holocaust victim. He married (1) REBECCA SWART 29 June 1905 in Amsterdam, Holland. She was born 25 December 1881 in Amsterdam, Holland, and died 28 October 1939 in Amsterdam, Holland. He married (2) SARA ENGELANDER 28 April 1937 in Amsterdam, Holland. She was born 06 July 1885 in Amsterdam, Holland, and died 03 December 1942 in Auschwitz concentration camp, Poland - Holocaust victim. Marianne Venetianer joined the Hollandia-Kattenburg textile factory in Amsterdam on 10 February 1939. On Wednesday, 11 November 1942, around 4:30 PM, Willy Lages conducted the Sicherheitspolizei raid on the Hollandia factories. All exits were blocked and the Jewish staff members were taken away that evening. Photographs of all workers taken away that evening, as well as those deported previously, appear in the 'Boek der tranen' [Book of tears]. 1. SAL PHILIPPE SLIER, b. 20 June 1942, Amsterdam, Holland; d. 08 December 1942, Auschwitz concentration camp, Poland - Holocaust victim. ROSA VAN GEENS was born 01 October 1894 in London, England, and died 12 February 1943 in Auschwitz concentration camp, Poland - Holocaust victim. She married SIMON FRENKEL 25 August 1920 in Rotterdam, Holland. He was born 01 April 1890 in Pernis, Rotterdam, Holland, and died 12 February 1943 in Auschwitz concentration camp, Poland - Holocaust victim. Resided with family, April 1942: Hoofdstraat 177, Schiedam, Holland. 1. KAATJE FRENKEL, b. 30 June 1921, Rotterdam, Holland; d. 21 May 1943, Sobibor death camp, Poland - Holocaust victim. 2. MARGARETHA FRENKEL, b. 22 September 1924, Rotterdam, Holland; d. 23 October 1944, Auschwitz concentration camp, Poland - Holocaust victim. 3. FROUWTJE FRENKEL, b. 13 May 1930, Rotterdam, Holland; d. 12 February 1943, Auschwitz concentration camp, Poland - Holocaust victim. SAMUEL VAN DE RHOER was born 07 April 1909 in Meppel, Drenthe, Holland, and died 31 March 1944 in Auschwitz concentration camp, Poland - Holocaust victim. He married ELISABETH BÖTTIGHEIMER 22 October 1941 in Meppel, Drenthe, Holland. She was born 17 June 1914 in Bamberg, Bavaria, Germany, and died 03 September 1943 in Auschwitz concentration camp, Poland - Holocaust victim. Resided with family, July 01, 1942: Woldstraat 58, Meppel, Holland. 1. LEVI LEOPOLD VAN DE RHOER, b. 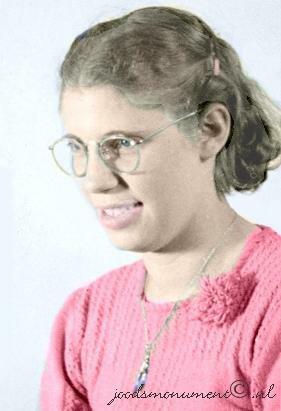 13 September 1942, Meppel, Drenthe, Holland; d. 02 October 1942, Meppel, Drenthe, Holland. 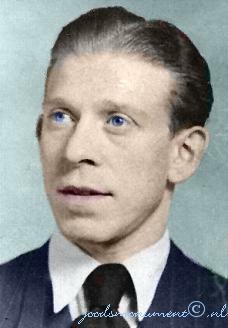 EMIL ADOLF MESRITZ was born 27 June 1900 in Amsterdam, Holland, and died 23 April 1943 in Sobibor death camp, Poland - Holocaust victim. He married CLARA GAZAN 10 July 1929 in Amsterdam, Holland, daughter of MEIJER GAZAN and SAARTJE NIHOM. She was born 24 June 1896 in Doesburg, Gelderland, Holland, and died 23 April 1943 in Sobibor death camp, Poland - Holocaust victim. Resided with Family, May 1940 Lorentzlaan 3, Arnhem, Holland. 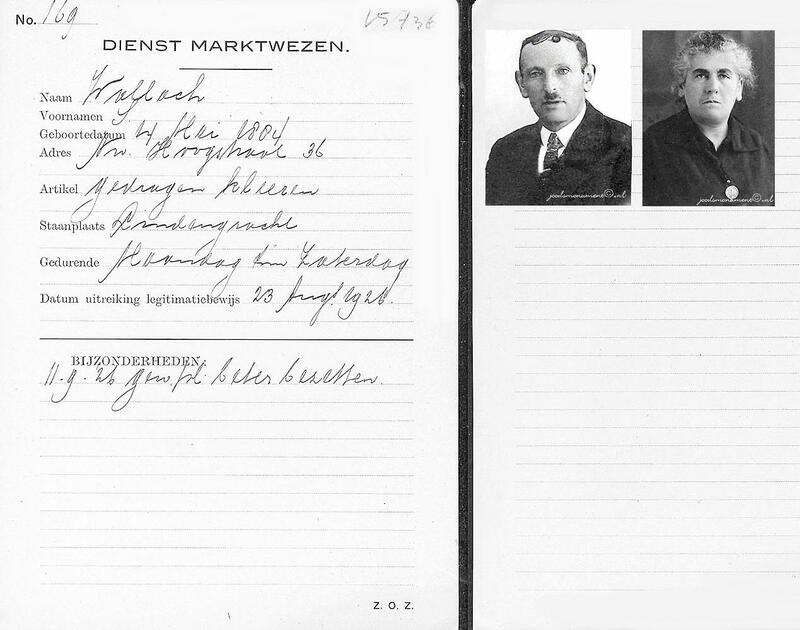 The Arnhem police commissioner requested that Emil Adolf Mesritz and his wife Clara Mesrits-Gazan, residing in Arnhem, be located, detained and brought to trial. They were suspected of having changed their place of residence without the required authorization. This description referred to Jews who had gone into hiding. 1. LOUIS MESRITZ, b. 16 June 1931, Arnhem, Holland; d. 23 April 1943, Sobibor death camp, Poland - Holocaust victim. The Arnhem police commissioner requested that Louis Mesritz, residing in Arnhem, be located, detained and brought to trial. He was suspected of having changed his place of residence without the required authorization. This description referred to Jews who had gone into hiding. KLAARTJE DE LEEUW was born 19 December 1897 in Amsterdam, Holland. She married SAMUEL METZ 21 September 1922 in Amsterdam, Holland, son of ANDRIES METZ and HANNA WERTHEIM. He was born 03 January 1899 in Amsterdam, Holland, and died 28 February 1943 in Auschwitz concentration camp, Poland - Holocaust victim. Resided with family, Feruary 1941: Diamantstraat 19 I, Amsterdam, Holland. Wife has survived the war One child living with its parents survived the war. 1. ANDRIES METZ, b. 15 July 1924, Amsterdam, Holland; d. 31 March 1944, Auschwitz concentration camp, Poland - Holocaust victim. SARLINA MESRITZ was born 01 December 1900 in Meppel, Drenthe, Holland, and died 21 May 1943 in Sobibor death camp, Poland - Holocaust victim. She married LEO LEEFSMA 07 September 1920 in Meppel, Drenthe, Holland, son of RAPHAEL LEEFSMA and ELLA EPPENHEIM. He was born 19 February 1890 in Veghel, Holland, and died 21 May 1943 in Sobibor death camp, Poland - Holocaust victim. Resided: Van Musschenbroekstraat 2, Utrecht, Holland. The Jokos file reveals that a claim was lodged for compensation for looted securities or bonds. (W-claim, number 7056/21267). 1. ELLA CLARA LEEFSMA, b. 07 June 1921, Rotterdam, Holland; d. February 1944, Auschwitz concentration camp, Poland - Holocaust victim. 2. MIRJAM LEEFSMA, b. 16 April 1931, Utrecht, Holland; d. 23 July 1943, Sobibor death camp, Poland - Holocaust victim. ROZETTE VAN GEENS was born 28 May 1911 in Amsterdam, Holland, and died 27 April 1964 in Amsterdam, Holland. She married VICTOR KROPVELD, son of LEHMAN KROPVELD and AALTJE KROPVELD. He was born 20 February 1908 in Amsterdam, Holland, and died 16 March 1975 in Amsterdam, Holland. Burial: 18 March 1975, Muiderberg cemetary, Amsterdam, Holland. Parents of VICTOR KROPVELD were LEHMAN KROPVELD born 17 May 1889 in Bellingwolde, Bellingwedde, Westerwolde, Groningen, Holland, and died 29 October 1942 in Auschwitz concentration camp, Poland - Holocaust victim. He married AALTJE KROPVELD 13 November 1907 in Amsterdam, Holland. She was born 07 January 1890 in Amsterdam, Holland, and died 04 December 1967 in Amsterdam, Holland. Resided with family, February 1941: Lepelstraat 7 III, Amsterdam, Holland. First cousin marriage to, Aaltje Kropveld. 1. ALIDA KROPVELD, b. 04 November 1935, Amsterdam, Holland; d. 23 July 1943, Sobibor death camp, Poland - Holocaust victim. Resided with family, April 1942:Soesterbergstraat 158, Den Haag, Holland. 2. KARIN EVA KROPVELD, b. 20 January 1941, Amsterdam, Holland; d. 03 March 1996, Castricum, Holland. SAMUEL VAN GEENS was born 09 July 1915 in Amsterdam, Holland, and died 31 March 1944 in Auschwitz concentration camp, Poland - Holocaust victim. He married ESTHER DE LANGE 06 September 1939 in Amsterdam, Holland, daughter of HARTOG DE LANGE and LENA BLOK. She was born 02 October 1915 in Amsterdam, Holland, and died 03 September 1943 in Auschwitz concentration camp, Poland - Holocaust victim. Parents of ESTHER DE LANGE were HARTOG DE LANGE born 06 July 1886 in Elburg, Holland, and died 17 September 1943 in Auschwitz concentration camp, Poland - Holocaust victim. He married LENA BLOK 16 April 1914 in Amsterdam, Holland. She was born 19 May 1888 in Groningen, Holland, and died 17 September 1943 in Auschwitz concentration camp, Poland - Holocaust victim. Resided with family, February 1941: Meerhuizenstraat 4 I, Amsterdam, Holland. Lena Blok was the daughter of Manuel Blok and Mietje Goudsmit. Lena Blok grew up in a family with ten children. Both her parents died before the war. Resided with family, February 1941: Iepenweg 23 I, Amsterdam, Holland. One child living with his parents survived the war. MARCUS VAN GEENS was born 17 May 1912 in Rotterdam, Holland, and died 28 February 1943 in Auschwitz concentration camp, Poland - Holocaust victim. He married EVA KOOL 25 March 1936 in Amsterdam, Holland, daughter of BAREND KOOL and LEENTJE GROOTKERK. She was born 12 January 1918 in Amsterdam, Holland, and died 21 May 1943 in Sobibor death camp, Poland - Holocaust victim. Resided with family, February 1941: Palembangstraat 50 h, Amsterdam, Holland. 1. BAREND VAN GEENS, b. 11 August 1936, Amsterdam, Holland; d. 21 May 1943, Sobibor death camp, Poland - Holocaust victim. 2. LEVIE VAN GEENS, b. 10 July 1940, Amsterdam, Holland; d. 21 May 1943, Sobibor death camp, Poland - Holocaust victim. 3. LYDIA LENA EVA VAN GEEN, b. 11 September 1941, Amsterdam, Holland; d. 11 February 1944, Auschwitz concentration camp, Poland - Holocaust victim. DAVID VAN GEENS was born 18 November 1918 in Amsterdam, Holland, and died 30 April 1996 in Amsterdam, Holland. He married (1) KEETJE VAN LOCHEM 08 July 1942 in Amsterdam, Holland, daughter of HIJMAN VAN LOCHEM and KAANTJE ROODVELDT. She was born 15 March 1921 in Amsterdam, Holland, and died 11 June 1943 in Sobibor death camp, Poland - Holocaust victim. He married (2) ESTHER FLORA 1946 in Amsterdam, Holland, daughter of ALEXANDER FLORA and ANNA BRAUNBERGER. She was born 03 February 1911 in Rotterdam, Holland, and died 16 July 1990 in Amsterdam, Holland. 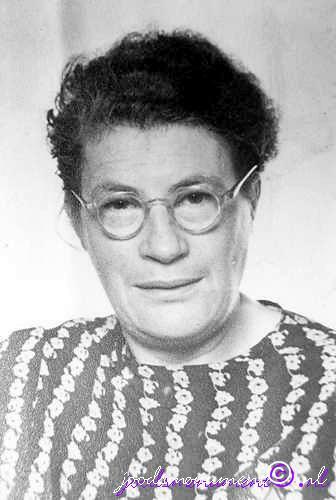 Divorced Esther Flora: 15 July 1946, . Parents of KEETJE VAN LOCHEM were HIJMAN VAN LOCHEM born 13 January 1885 in Amsterdam, Holland, and died November 1938 in Amsterdam, Holland. He married KAANTJE ROODVELDT 02 January 1907 in Amsterdam, Holland. She was born 06 January 1888 in Amsterdam, Holland, and died 03 December 1942 in Auschwitz concentration camp, Poland - Holocaust victim. Resided, February 1941: Tugelaweg 92 II, Amsterdam, Holland. Belonging to: Widow Kaatje Roodveldt and her family, Amsterdam. Clothing, Underwear, shoes, hat, assorted items. Parents of ESTHER FLORA were ALEXANDER FLORA born 14 August 1875 in Rotterdam, Holland, and died 10 September 1940 in Rotterdam, Holland. He married ANNA BRAUNBERGER 11 July 1900 in Rotterdam, Holland. She was born 25 July 1876 in Rotterdam, Holland, and died 10 September 1942 in Auschwitz concentration camp, Poland - Holocaust victim. Resided with wife Anna Braunberger, May 1940: Paulownastraat 54 a, Rotterdam, Holland. Was a son of Jonas Flora and Roosje Kloot. Alexander Flora married in Rotterdam on 11 July 1900 to Anna Braunberger. The couple had in total 12 children, among them several stillborn and children who died in childhood. His son Jacob with his family and their daughter Roosje and her family did not survive the Holocaust. Only one daughter survived the war. She married in 1947 to a son of Levie van Geens and Judith Hart. The funeral records at the Jewish cemetery in Rotterdam reveal that Alexander Flora was buried there. Resided, February 1941: Niasstraat 30 I, Amsterdam, Holland. Anna Braunberger was a daughter of Jacob Braunberger and Esther Leons. 1. JUDITH VAN GEENS, b. 08 January 1943, Amsterdam, Holland; d. 11 June 1943, Sobibor death camp, Poland - Holocaust victim. Judith van Geens was deported to Sobibor in June 1943 from Vught via Westerbork on the so-called children's transport. She was five months old when she died. JONAS ERWTEMAN was born 02 April 1917 in Amsterdam, Holland, and died 04 June 1943 in Sobibor death camp, Poland - Holocaust victim. He married ROZA VAN WEST 20 September 1939 in Amsterdam, Holland. She was born 22 November 1917 in Amsterdam, Holland, and died 04 June 1943 in Sobibor death camp, Poland - Holocaust victim. Resided with family, May 1943: Nieuwe Prinsengracht 116 onderhuis, Amsterdam, Holland. 1. BETTY ERWTEMAN, b. 24 February 1943, Amsterdam, Holland; d. 04 June 1943, Sobibor death camp, Poland - Holocaust victim. MARGARETHA FRENKEL was born 22 September 1924 in Rotterdam, Holland, and died 23 October 1944 in Auschwitz concentration camp, Poland - Holocaust victim. She married MORTIZ LEO CHANACHOWITZ 22 October 1942 in Westerbork transit camp, Drenthe, Holland, son of ISAAK CHANACHOWITZ and SIMCHA FROMANN. He was born 07 March 1921 in München Gladbach, North Rhine-Westphalia, Germany, and died 29 September 1944 in Auschwitz concentration camp, Poland - Holocaust victim. 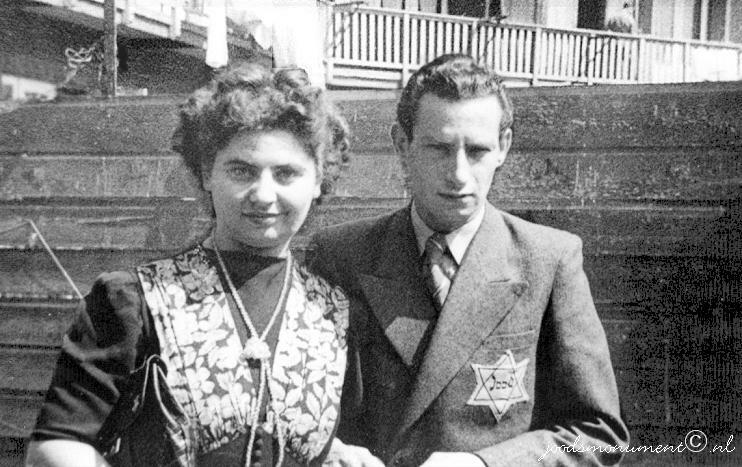 Moritz Leo Chanachowitz and Margaretha Frenkel were married on 22 October 1942 in Westerbork transit camp. The mother of the bride (Rosa van Geens) attended the wedding of her daughter. She signed the marriage certificate. Parents of MORTIZ LEO CHANACHOWITZ were ISAAK CHANACHOWITZ born 23 December 1898 in Warsaw, Poland, and died 16 July 1943 in Sobibor death camp, Poland - Holocaust victim. He married SIMCHA REGINA FROMANN. She was born 02 July 1898 in Lodz, Poland, and died 16 July 1943 in Sobibor death camp, Poland - Holocaust victim. Resided with wife, January 01, 1942: Kampstraat 75, Hilversum, Holland. 1. ARNOLD CHANACHOWITZ, b. 19 December 1943, Westerbork transit camp, Drenthe, Holland; d. 23 October 1944, Auschwitz concentration camp, Poland - Holocaust victim. LOUISA SPIERO, daughter of LEVY SPIERO and BETJE FRESCO, was born 20 February 1850 in The Hague, Holland. She married SAMUEL SPIERO 26 May 1875 in The Hague, Holland, son of BAREND SPIERO and JETJE BIJL. He was born 29 March 1850 in The Hague, Holland, and died 26 September 1883 in The Hague, Holland. How are you related to Louisa Spiero? 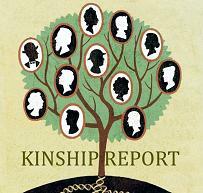 Click on tree to view kinship report. 1. BAREND SPIERO, b. 26 September 1876, The Hague, Holland; d. 03 May 1912, The Hague, Holland. 2. JACOB SPIERO, b. 10 October 1878, The Hague, Holland; d. 15 October 1942, Auschwitz concentration camp, Poland - Holocaust victim. 3. DAVID SPIERO, b. 01 January 1881, The Hague, Holland; d. 19 October 1942, Auschwitz concentration camp, Poland - Holocaust victim. 4. GERRIT SPIERO, b. 02 February 1883, The Hague, Holland; d. 01 October 1883, The Hague, Holland. BAREND SPIERO was born 26 September 1876 in The Hague, Holland, and died 03 May 1912 in The Hague, Holland. He married ROSALINA KOPPENS 14 June 1905 in Rotterdam, Holland, daughter of SAMUEL KOPPENS and SARA HES. She was born 10 May 1869 in The Hague, Holland, and died 21 January 1943 in Auschwitz concentration camp, Poland - Holocaust victim. Resided with second husband, Alfred Cohen, April 1942: Naaldwijkschestraat 5, Den Haag, Holland. Room: hanging lamp, stove, kitchen steps, table, chair, floor cloth. Room: lamp, table (2), chair (4), wall plate (2), mat, floor cloth. Room: double bed with bedding. Area unknown: lamp, gas cooker, chair, mirror, kitchenware. 1. SAMUEL SPIERO, b. 12 January 1907, The Hague, Holland; d. 30 September 1942, Auschwitz concentration camp, Poland - Holocaust victim. Resided: Charlotte de Bourbonstraat 146, Den Haag, Holland. JACOB SPIERO was born 10 October 1878 in The Hague, Holland, and died 15 October 1942 in Auschwitz concentration camp, Poland - Holocaust victim. He married JOHANNA KOPPENS 14 September 1910 in The Hague, Holland, daughter of SAMUEL KOPPENS and SARA HES. She was born 19 March 1879 in The Hague, Holland, and died 15 October 1942 in Auschwitz concentration camp, Poland - Holocaust victim. Resided with family: Jan van Riebeekstraat 35, Den Haag, Holland. The Jokos file reveals that a claim was lodged for compensation for valuables surrendered to the Lippmann-Rosenthal looting bank (L-claim, number 11336/13702). 1. SAMUEL SPIERO, b. The Hague, Holland. 2. ESTELLA SPIERO, b. 19 August 1913, Antwerp, Belgium; d. 15 October 1942, Auschwitz concentration camp, Poland - Holocaust victim. 3. 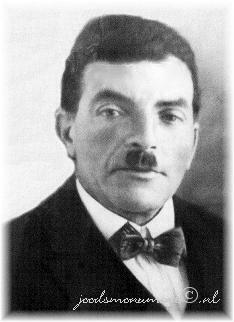 BAREND MORDECHAI SPIERO, b. 16 March 1919, The Hague, Holland; d. 30 April 1943, Auschwitz concentration camp, Poland - Holocaust victim. DAVID SPIERO was born 01 January 1881 in The Hague, Holland, and died 19 October 1942 in Auschwitz concentration camp, Poland - Holocaust victim. He married LEA VAN DER VELDE 02 November 1910 in The Hague, Holland, daughter of JACOB VELDE and SARA VAN KLEEF. She was born 21 August 1880 in Amsterdam, Holland. 1. LOUISA SPIERO, b. 20 September 1911, The Hague, Holland; d. 02 April 1943, Sobibor death camp, Poland - Holocaust victim. 2. JACQUES SPIERO b. 30 September 1913, The Hague, Holland; d. 07 May 1940, The Hague, Holland; m. MARIA JOHANNA HOCK, 16 August 1939, The Hague, Holland; b. 30 November 1914, Amsterdam, Holland; d. 27 August 2007, The Hague, Holland. Cremation: 31 August 2007, Yarden Crematorium en Begraafplaats Nieuw Eykenduynen, Den Haag, Holland. 3. DORA SPIERO b. 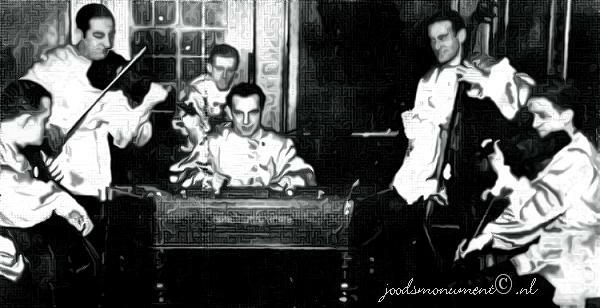 29 May 1918, The Hague, Holland; d. 30 September 1942, Auschwitz concentration camp, Poland - Holocaust victim; m. LEVIE DE WOLF, 03 August 1942, Rotterdam, Holland; b. 25 August 1917, Rotterdam, Holland; d. 30 September 1942, Auschwitz concentration camp, Poland - Holocaust victim. Dora Spiero married Levie de Wolf on 3 August 1942 in Rotterdam. The public prosecutor had given special permission for the marriage. This was required because the couple could not officially announce it as far in advance as usual; the reason was probably that they had been ordered to report to Westerbork transit camp. A few weeks after their wedding, Levie and Dora left for Westerbork. They were deported from there soon after. 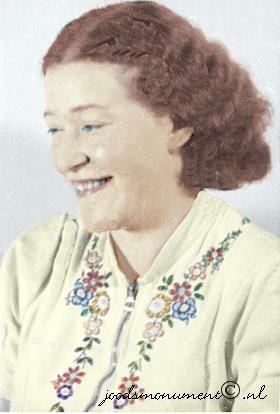 Levie de Wolf was one of seven siblings. One surviving child from this family was married to Naatje Glaser in 1942. Parents of Levie de Wolf were EDUARD DE WOLF born 26 October 1890 in Den Helder, Holland, and died 05 November 1942 in Auschwitz concentration camp, Poland - Holocaust victim. He married ELISABETH DE WINTER 31 December 1912 in Rotterdam, Holland, daughter of JACOB DE WINTER and TRUITJE TRIJTEL. She was born 26 November 1890 in Rotterdam, Holland, and died 05 November 1942 in Auschwitz concentration camp, Poland - Holocaust victim. Resided with family, April 1942: Catharina Beersmansstraat 72 b, Rotterdam, Holland. The Jokos file reveals that a claim was lodged for compensation for valuables surrendered to the Lippmann-Rosenthal looting bank (L-claim, number 13182/6973). Eduard de Wolf was not related to the de Wolf ancestors of the Sasieni family and only connected via the Spiero families. The ancestors of Eduard de Wolf have yet to be established (2015). ESTELLA SPIERO was born 19 August 1913 in Antwerp, Belgium, and died 15 October 1942 in Auschwitz concentration camp, Poland - Holocaust victim. She married DAVID COHEN 20 October 1937 in The Hague, Holland, son of ISAAC COHEN and BERTHA KRUIJER. He was born 25 April 1912 in Arnhem, Holland, and died 28 February 1943 in Auschwitz concentration camp, Poland - Holocaust victim. Parents of David Cohen were ISAAC COHEN born 25 December 1883 in Amsterdam, Holland, and died 30 September 1942 in Auschwitz concentration camp, Poland - Holocaust victim, and first wife BERTHA KRUIJER married 15 February 1911 in Arnhem, Holland. She was born 25 August 1887 in Arnhem, Holland, and died 01 November 1915 in Arnhem, Holland. He married (2) MARIANNE STOKVIS 30 January 1924 in Amsterdam, Holland. She was born 10 November 1893 in Amsterdam, Holland, and died 30 September 1942 in Auschwitz concentration camp, Poland - Holocaust victim. Resided with second wife, Marianne Stokvis, April 1942: Van Slingelandtstraat 7, Scheveningen, Holland. 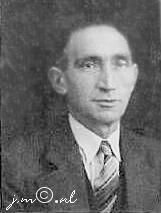 Isaac Cohen was a son of Meijer Cohen and Zilpa Kater. He married in Arnhem on 15 February 1911 to Bertha Kruijer, daughter of Lammert Kruijer and Clara Swaab. The couple had five children together of whom one, only 9 days old, died. The other children were David, Meijer, Clara and Israel. Bertha Kruijer passed away on 1 November 1915. Isaac remarried in Amsterdam to Marianne Stokvis, daugther of Joseph Stokvis and Rebecca Barend. Resided with family, April 1942: Van Slingelandtstraat 7, Scheveningen, Holland. The Jokos file reveals that a claim was lodged for compensation for valuables surrendered to the Lippmann-Rosenthal looting bank (L-claim, number 1865/902). 1. JOAN COHEN, b. 21 August 1941, The Hague, Holland; d. 15 October 1942, Auschwitz concentration camp, Poland - Holocaust victim. LOUISA SPIERO was born 20 September 1911 in The Hague, Holland, and died 02 April 1943 in Sobibor death camp, Poland - Holocaust victim. She married ISAAC DE VRIES 17 August 1936 in The Hague, Holland, son of JACOB DE VRIES and HEINTJE HARTOG. He was born 01 May 1906 in The Hague, Holland, and died 02 April 1943 in Sobibor death camp, Poland - Holocaust victim. Resided with family, April 1, 1942: Zwetstraat 127, Den Haag, Holland. 1. JACOB DE VRIES, b. 13 April 1941, The Hague, Holland; d. 02 April 1943, Sobibor death camp, Poland - Holocaust victim. MOZES DUKKER was born 23 October 1834 in Amsterdam, Holland. He married EVA LAARS 02 January 1861 in Amsterdam, Holland, daughter of SALOMON LAARS and CAROLINA COLIJN. She was born 1834 in Amsterdam, Holland, and died April 1910 in Amsterdam, Holland. How are you related to Mozes Dukker? 1. JUDA DUKKER, b. 24 August 1863, Amsterdam, Holland; d. 07 October 1939, Amsterdam, Holland. 2. GERSON DUKKER, b. 09 May 1866, Amsterdam, Holland; d. 24 September 1942, Auschwitz concentration camp, Poland - Holocaust victim. 3. CLARA DUKKER, b. 05 August 1869, Amsterdam, Holland; d. July 1927, Amsterdam, Holland. 4. BETJE DUKKER, b. 07 October 1871, Amsterdam, Holland; d. 05 March 1943, Sobibor death camp, Poland - Holocaust victim; m. (1) SAMUEL MACHIEL MOK; b. 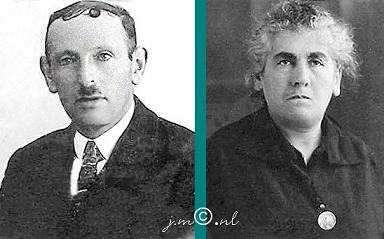 06 September 1868, Haarlem, Holland; d. 05 March 1943, Sobibor death camp, Poland - Holocaust victim; m. (2) LEVY DRIEVOET, 14 October 1920, Amsterdam, Holland; b. 31 August 1862, The Hague, Holland; d. 02 November 1931, The Hague, Holland. Resided with second husband, Samuel Machiel Mok, April 1942: Vaillantplein 15, Den Haag, Holland. 5. NAATJE DUKKER was born 21 May 1874 in Amsterdam, Holland, and died 28 September 1942 in Auschwitz concentration camp, Poland - Holocaust victim. She married SALOMON WALLACH 16 July 1913 in Amsterdam, Holland, son of ISAAC WALLACH and CORNELIA PAARDEBEK. He was born 14 May 1884 in Haarlem, Holland, and died 28 September 1942 in Auschwitz concentration camp, Poland - Holocaust victim. Resided with wife, February 1941: Fokke Simonszstraat 18 I, Amsterdam, Holland. 6. SALOMON DUKKER, b. 11 June 1876, Amsterdam, Holland; d. 04 June 1943, Sobibor death camp, Poland - Holocaust victim. JUDA DUKKER was born 24 August 1863 in Amsterdam, Holland, and died 07 October 1939 in Amsterdam, Holland. He married ROOSJE SALOMON 22 July 1885 in Amsterdam, Holland, daughter of SALOMON SALOMON and FIJTJE MATTEMAN. She was born 16 May 1864. 1. MOZES DUKKER, b. 17 June 1886, Amsterdam, Holland. 2. SALOMON DUKKER, b. 14 July 1887, Amsterdam, Holland. 3. ABRAHAM DUKKER, b. 16 August 1888, Amsterdam, Holland; d. 26 October 1942, Auschwitz concentration camp, Poland - Holocaust victim. 4. RACHEL DUKKER, b. 15 January 1893, Amsterdam, Holland; d. 28 May 1943, Sobibor death camp, Poland - Holocaust victim. GERSON DUKKER was born 09 May 1866 in Amsterdam, Holland, and died 24 September 1942 in Auschwitz concentration camp, Poland - Holocaust victim. He married SCHOONTJE WENNEK 28 September 1892 in Amsterdam, Holland, daughter of LEENDERT WENNEK and CATHARINA DE HAAS. She was born 22 October 1869 in Amsterdam, Holland, and died 05 October 1942 in Auschwitz concentration camp, Poland - Holocaust victim. Resided, 1941 - nursing home: Gemeentelijk verzorgingshuis voor ouden van dagen, Roetersstraat 2, Amsterdam, Holland. Resided with relatives, February 1941: Ruyschstraat 127 I, Amsterdam, Holland. 1. MOZES GERSON DUKKER, b. 29 April 1905, Amsterdam, Holland; d. 31 March 1944, Central Europe, Municipality unknown - Holocaust victim. 2. LEENDERT DUKKER, b. 24 November 1908, Amsterdam, Holland; d. 13 March 1943, Sobibor death camp, Poland - Holocaust victim. 3. CLARA DUKKER, b. 09 March 1912, Amsterdam, Holland; d. 02 August 1942, Auschwitz concentration camp, Poland - Holocaust victim. CLARA DUKKER was born 05 August 1869 in Amsterdam, Holland, and died July 1927 in Amsterdam, Holland. She married ELIAS SPREEKMEESTER 21 February 1906 in Amsterdam, Holland, son of MEIJER SPREEKMEESTER and VOGELTJE HIJMAN. He was born 20 September 1857 in Amsterdam, Holland, and died 09 June 1917 in Amsterdam, Holland. 1. MEIJER SPREEKMEESTER, b. 13 June 1907, Amsterdam, Holland; d. 04 June 1943, Sobibor death camp, Poland - Holocaust victim. 2. MOZES SPREEKMEESTER, b. 15 December 1908, Amsterdam, Holland; d. 29 June 1941, Mauthausen sub camp, Extern kommando Gusen extermination Camp, Austria – Holocaust victim. SALOMON DUKKER was born 11 June 1876 in Amsterdam, Holland, and died 04 June 1943 in Sobibor death camp, Poland - Holocaust victim. He married (1) ROSETTE BLITZ 27 October 1904 in Zaandam, Holland, daughter of JONAS BLITZ and MARIANNE LOEZA. She was born 17 January 1881 in Amsterdam, Holland, and died 1937 in Amsterdam, Holland. He married (2) ALICE (MOLLY) PRINS 24 June 1942 in Zaandam, Holland, daughter of BENJAMIN PRINS and THERESE BENARI. She was born 28 January 1896 in Amsterdam, Holland, and died 06 March 1944 in Auschwitz concentration camp, Poland - Holocaust victim. Salomon Dukker was a son of Mozes Dukker and Eva Salomon Laars. He married Rosette Blitz in 1904 in Zaandam. She died in 1937. They had six children, among whom Maurice, Jonas and Marianne. He married Alice Prins on 24 June 1942 in Amsterdam, Holland. Two children of Salomon Dukker survived the war. Resided: Keizersgracht 650 II, Amsterdam, Holland. Alice (Molly) Prins was a daughter of the painter Benjamin Liepman Prins and Therese Benari. She was married to Julius Jacob Keizer, with whom she had a child. Her husband died in 1940. On 24 June 1942 she married Salomon Dukker. 1. MAURICE DUKKER, b. 29 March 1905, Amsterdam, Holland; d. 18 August 1942, Auschwitz concentration camp, Poland - Holocaust victim. Resided: Doctor Johannes G. Mezgerstraat 116, Zandvoort, Holland. Wife has survived the war. Two children living with their parents survived the war. 2. JONAS DUKKER, b. 01 June 1906, Amsterdam, Holland; d. 09 February 1944, Auschwitz concentration camp, Poland - Holocaust victim. 3. HENRI (HARRY) DUKKER, b. 21 September 1910, Amsterdam, Holland; d. 09 July 1943, Sobibor death camp, Poland - Holocaust victim; m. KATHE RUTH GOLDAPP, 11 February 1942, Amsterdam, Holland; b. 17 December 1913, Berlin, Germany; d. 09 July 1943, Sobibor death camp, Poland - Holocaust victim. Resided with wife: Minervalaan 47 h, Amsterdam, Holland. Käthe Goldapp married on 11-02-1942 with Henri Dukker and lived at his home from that date. 4. MARIANNE DUKKER, b. 20 February 1914, Amsterdam, Holland; d. 24 September 1942, Auschwitz concentration camp, Poland - Holocaust victim; m. ALBERT LOUIS BLOK; b. 15 July 1912, Amsterdam, Holland; d. 31 January 1943, Auschwitz concentration camp, Poland - Holocaust victim. Resided: Hunzestraat 45 II, Amsterdam, Holland. Albert Louis Blok and Marianne Dukker had gone into hiding during the war in Schermer, Holland. In August 1942 they were betrayed. ABRAHAM DUKKER was born 16 August 1888 in Amsterdam, Holland, and died 26 October 1942 in Auschwitz concentration camp, Poland - Holocaust victim. He married KLARA WATERMAN 03 January 1918 in Amsterdam, Holland, daughter of BAREND WATERMAN and DEBORA DE VRIES. She was born 15 April 1893 in Amsterdam, Holland, and died 02 July 1943 in Sobibor death camp, Poland - Holocaust victim. Resided with family, February 1941: Van Musschenbroekstraat 23 I, Amsterdam, Holland. 1. ROOSJE DUKKER, b. 30 January 1919, Amsterdam, Holland; d. 23 November 2010, Amsterdam, Holland; m. (1) ELIAS GLASBEEK, 15 April 1942, Amsterdam, Holland; b. 13 June 1916, Amsterdam, Holland; d. 29 February 1944, Municipality unknown - Holocaust victim; m. (2) KORNELIS OOSTVEEN, 16 May 1952, Amsterdam, Holland; b. 22 May 1920, Vlaardingen, Holland; d. 04 January 1989, Haarlem, Holland. Resided, February 1941: Vrolikstraat 243 h, Amsterdam, Holland. 2. DEBORA DUKKER, b. 08 September 1921, Amsterdam, Holland; d. 22 October 1943, Auschwitz concentration camp, Poland - Holocaust victim; m. JACOB VLEESCHDRAGER, 18 June 1941, Amsterdam, Holland; b. 28 August 1915, Amsterdam, Holland; d. 31 January 1944, Warschau, Poland - Holocaust victim. RACHEL DUKKER was born 15 January 1893 in Amsterdam, Holland, and died 28 May 1943 in Sobibor death camp, Poland - Holocaust victim. She married ISAAC SPRINGER 22 January 1919 in Amsterdam, Holland, son of BAREND SPRINGER and JUDIC VERDONER. He was born 05 November 1894 in Amsterdam, Holland, and died 31 March 1943 in Auschwitz concentration camp, Poland - Holocaust victim. Resided with family, January 1, 1942: Valckenierstraat 19 a - I, Amsterdam, Holland. 1. JULIA SPRINGER, b. 03 December 1919, Amsterdam, Holland; d. 30 September 1942, Auschwitz concentration camp, Poland - Holocaust victim; m. SALOMON COZIJN, 01 April 1942, Amsterdam, Holland; b. 12 January 1919, Amsterdam, Holland; d. 30 September 1942, Auschwitz concentration camp, Poland - Holocaust victim. 2. ROSA SPRINGER, b. 11 April 1925, Antwerp, Belgium; d. 31 January 1944, Auschwitz concentration camp, Poland - Holocaust victim. MOZES GERSON DUKKER was born 29 April 1905 in Amsterdam, Holland, and died 31 March 1944 in Central Europe, Municipality unknown - Holocaust victim. He married SARA DE BRAVE 20 July 1932 in Amsterdam, Holland, daughter of LEVIE DE BRAVE and NAATJE PEPER. 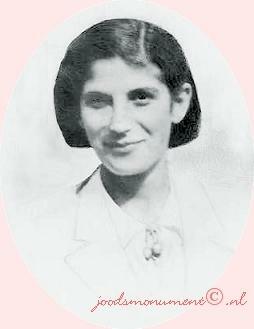 She was born 05 July 1907 in Amsterdam, Holland, and died 28 May 1943 in Sobibor death camp, Poland - Holocaust victim. Resided with family, February 1941: Christiaan de Wetstraat 36 II, Amsterdam, Holland. 1. LEVIE DUKKER, b. 30 July 1933, Amsterdam, Holland; d. 28 May 1943, Sobibor death camp, Poland - Holocaust victim. 2. ANNA DUKKER, b. 23 August 1934, Amsterdam, Holland; d. 28 May 1943, Sobibor death camp, Poland - Holocaust victim. 3. GERSON DUKKER, b. 21 May 1936, Amsterdam, Holland; d. 28 May 1943, Sobibor death camp, Poland - Holocaust victim. 4. MAURITS DUKKER, b. 04 February 1938, Amsterdam, Holland; d. 28 May 1943, Sobibor death camp, Poland - Holocaust victim. LEENDERT DUKKER was born 24 November 1908 in Amsterdam, Holland, and died 13 March 1943 in Sobibor death camp, Poland - Holocaust victim. He married SOPHIA ALDEWERELD 24 November 1938 in Amsterdam, Holland, daughter of GERRIT ALDEWERELD and MARIANNE STODEL. She was born 22 February 1914 in Amsterdam, Holland, and died 13 March 1943 in Sobibor death camp, Poland - Holocaust victim. Resided with family, February 1941: Ruyschstraat 127 I, Amsterdam, Holland. Parents of Sophia Aldewereld were GERRIT ALDEWERELD born 07 September 1880 in Amsterdam, Holland, and died 04 June 1943 in Sobibor death camp, Poland - Holocaust victim. He married MARIANNE STODEL 22 October 1908 in Amsterdam, Holland, daughter of JACOB STODEL and FIJTJE KORPER. 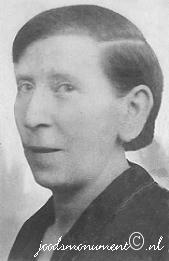 She was born 24 May 1882 in Amsterdam, Holland, and died 04 June 1943 in Sobibor death camp, Poland - Holocaust victim. Resided with wife, Februay 1, 1941: Laplacestraat 9 boven, Amsterdam, Holland. Room: linoleum, carpet, small carpet, foot mat(2), round table with cloth, sideboard,chair(4), armchair(2), coal-fired, cooker, small serving table, lace curtain(4), drape(4), wall mirror, table lamp, wall cupboard, wall plate(2), hanging lamp. Room: carpet, bath, cane mat, runner, round table, easy chair, small carpet, easy chair(2), small serving table, Room: linoleum, small carpet(3), stool, chair(2), dressing table, double bed with bedding, bedside table, round table, small table, standing cupboard, gramophone, gramophone record(48), lace curtain and drape(4), hanging lamp, wall cupboard. Room: linoleum, Runners, small carpet, chest of drawers, cot with bedding, small table, lace curtain and drape(2), hanging lamp. Corridor: linoleum, runner, foot mat, wardrobe, hanging lamp, wall plate(2), wall cupboard. Kitchen: linoleum, runner, foot mat, table,chair(3), gas cooker ("Etna"), kitchenware, wall-mounted coffee grinder, wall cupboard, lace curtain(2), ceiling lamp. 1. GERRIT LEO DUKKER, b. 23 March 1940, Amsterdam, Holland; d. 13 March 1943, Sobibor death camp, Poland - Holocaust victim. CLARA DUKKER was born 09 March 1912 in Amsterdam, Holland, and died 02 August 1942 in Auschwitz concentration camp, Poland - Holocaust victim. She married ZACHARIAS SCHRIJVER 21 October 1936 in Amsterdam, Holland, son of DAVID SCHRIJVER and BETJE WALVIS. He was born 20 July 1908 in Amsterdam, Holland, and died 30 September 1942 in Auschwitz concentration camp, Poland - Holocaust victim. Resided with family, February 1941: Ben Viljoenstraat 7 I, Amsterdam, Holland. 1. GERRIT SCHRIJVER, b. 13 August 1935, Valburg, Gelderland, Overbetuwe, Holland; d. 02 August 1942, Auschwitz concentration camp, Poland - Holocaust victim. 2. BETJE SCHRIJVER, b. 04 May 1939, Amsterdam, Holland; d. 02 August 1942, Auschwitz concentration camp, Poland - Holocaust victim. MEIJER SPREEKMEESTER was born 13 June 1907 in Amsterdam, Holland, and died 04 June 1943 in Sobibor death camp, Poland - Holocaust victim. He married JEANNETTE SCHAAP 23 January 1929 in Amsterdam, Holland, daughter of LEVIE SCHAAP and GERITTJE COHEN. She was born 12 July 1909 in Amsterdam, Holland, and died 04 June 1943 in Sobibor death camp, Poland - Holocaust victim. Resided with wife, February 1941: Nieuwe Prinsengracht 106 huis, Amsterdam, Holland. According to a list with shops of Jewish owners, compiled by the Amsterdam police in 1940, this family had a furniture shop, address: Lepelstraat 74 in Amsterdam. 1. ELIAS SPREEKMEESTER, b. 11 November 1929, Amsterdam, Holland; d. 04 June 1943, Sobibor death camp, Poland - Holocaust victim. 2. LOUIS SPREEKMEESTER, b. 27 October 1931, Amsterdam, Holland; d. 04 June 1943, Sobibor death camp, Poland - Holocaust victim. 3. ALFRED SPREEKMEESTER, b. 12 September 1933, Amsterdam, Holland; d. 04 June 1943, Sobibor death camp, Poland - Holocaust victim. 4. ALEX SPREEKMEESTER, b. 13 January 1936, Amsterdam, Holland; d. 04 June 1943, Sobibor death camp, Poland - Holocaust victim. 5. KAREL SPREEKMEESTER, b. 04 December 1940, Amsterdam, Holland; d. 04 June 1943, Sobibor death camp, Poland - Holocaust victim. JONA DUKKER was born 01 June 1906 in Amsterdam, Holland, and died 09 February 1944 in Auschwitz concentration camp, Poland - Holocaust victim. He married ALIDA SUESAN 10 September 1935 in Amsterdam, Holland, daughter of MEIJER SUESAN and SCHOONTJE VAN RHEENEN. She was born 28 December 1904 in Amsterdam, Holland, and died 28 January 1944 in Auschwitz concentration camp, Poland - Holocaust victim. Resided: Amsterdamscheweg 94, Arnhem, Holland. Survived the war and Immigrated to the United States.